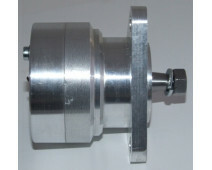 Wassell High Quality Distributor body/Magneto Replacement. Machined from billet alloy, and designed to replace the K1F/K2F and KVF type magnetos. Suitable for fitting electronic ignition to pre-unit models. UK Made.